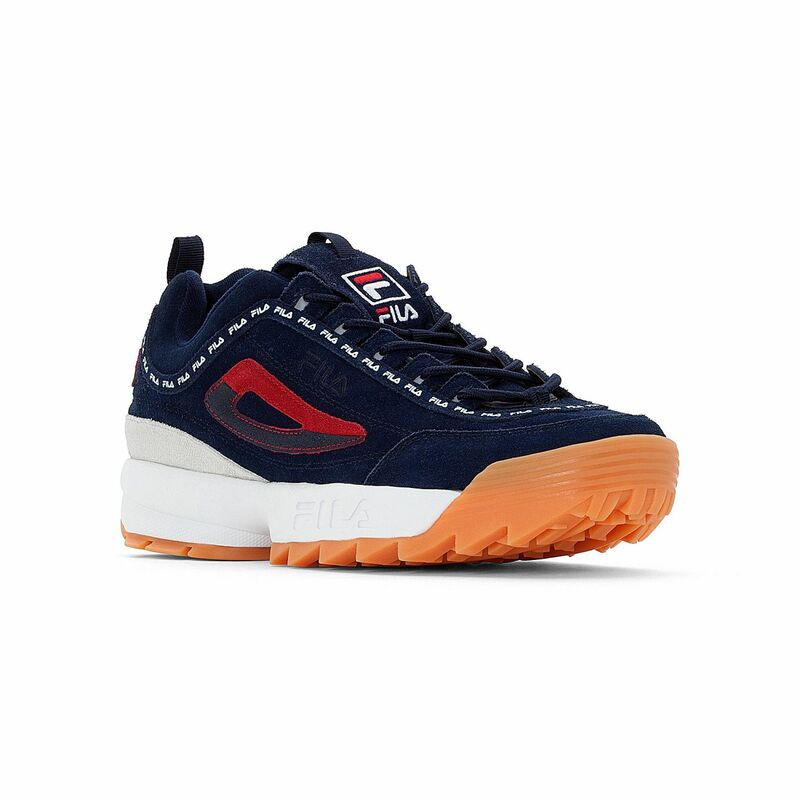 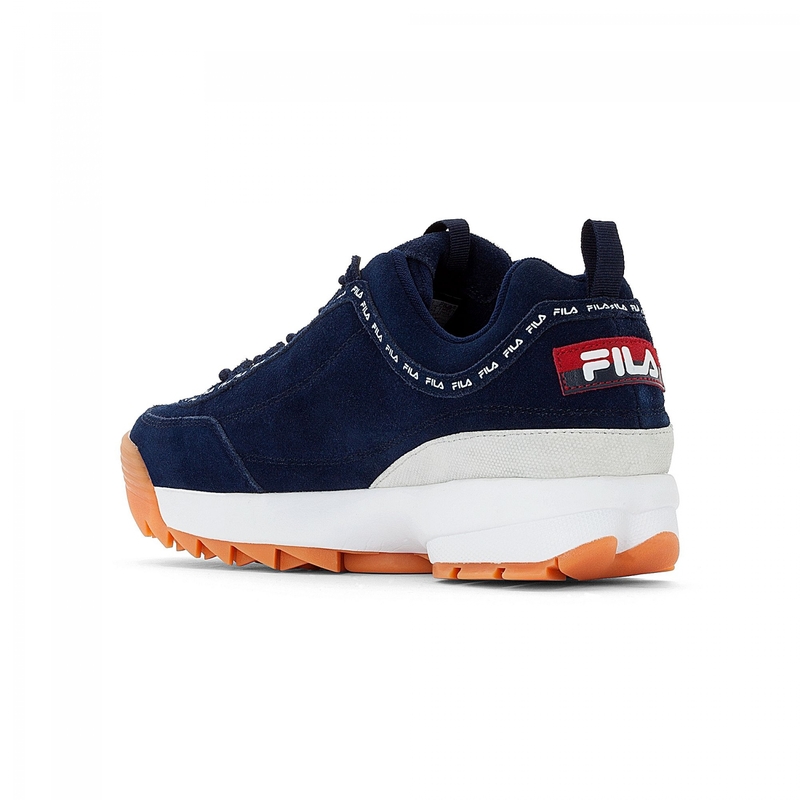 FILA Disruptor Low in navy blue with repeating logo. 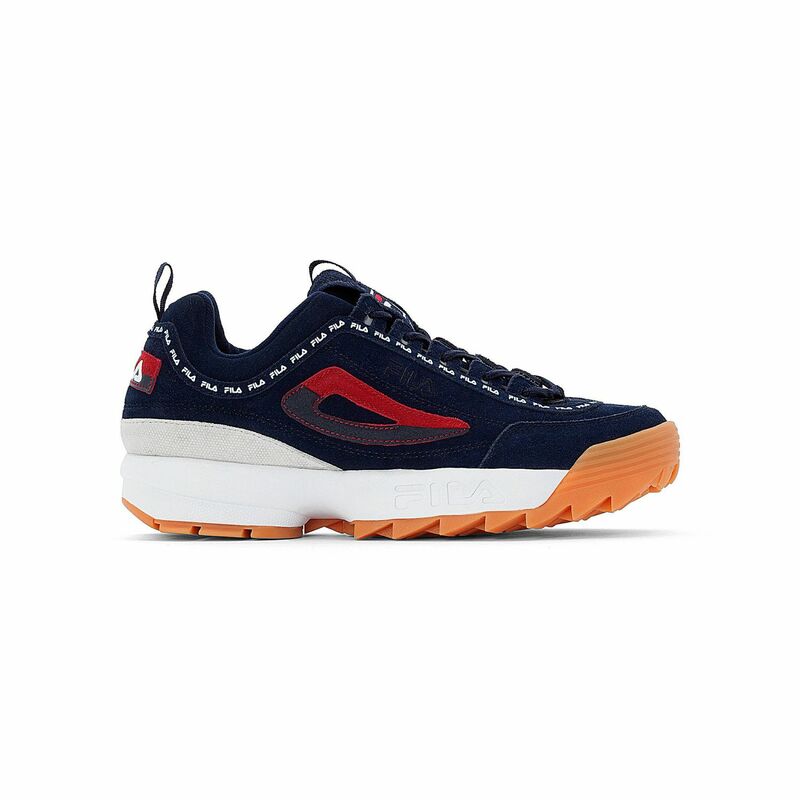 The shoe has got a narrow fit. 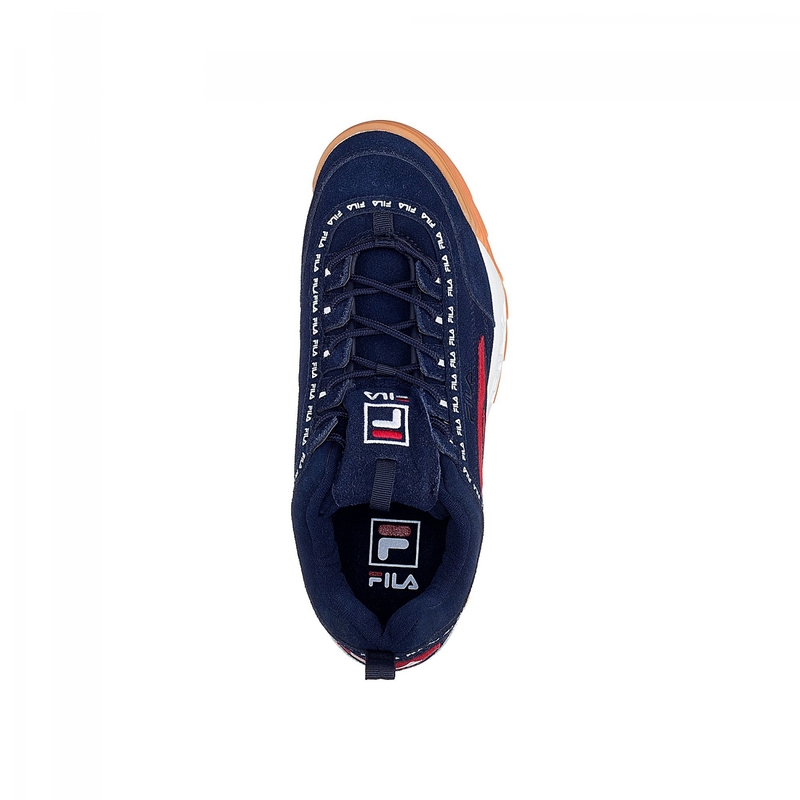 Our recommendation: order one size larger as usual.